Real Escape Game in Singapore returns with its first island-wide edition! Vivid Creations and SCRAP, the creator of Real Escape Game in Japan, are proud to present Escape from The Conspiracy, the largest edition of this puzzle-solving game series. 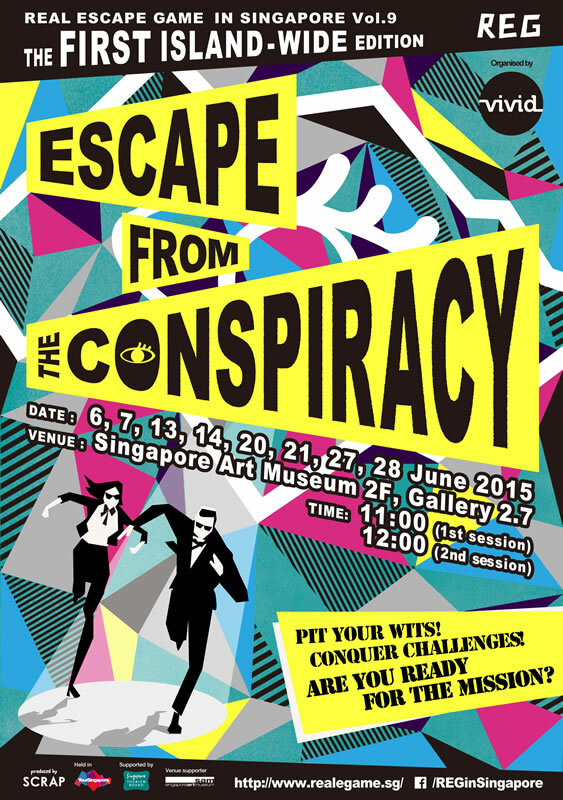 With the support of Singapore Tourism Board’s Kickstart Fund, Real Escape Game (REG) in Singapore Vol. 9 aims to attract more than 3000 participants over all the weekends in June 2015. Enjoy the excitement of going around the island to gather clues and solve puzzles. One night, you received an alert from your HQ. As the top secret agent, you have been assigned to stop a conspiracy group from paralyzing Singapore’s economy on its 50th anniversary. Hide your identity and find out the location of the conspiracy group’s base. Infiltrate the base and stop the conspiracy! Are you ready for the mission? REG is a thematic puzzle-based game that was the first of its kind to be brought in from Japan in 2012, and is a pioneer in the establishment of the “escape room” concept in Singapore. REG focuses on the finest quality of puzzle contents, encourages real-life social interactions and promotes team bonding among players. 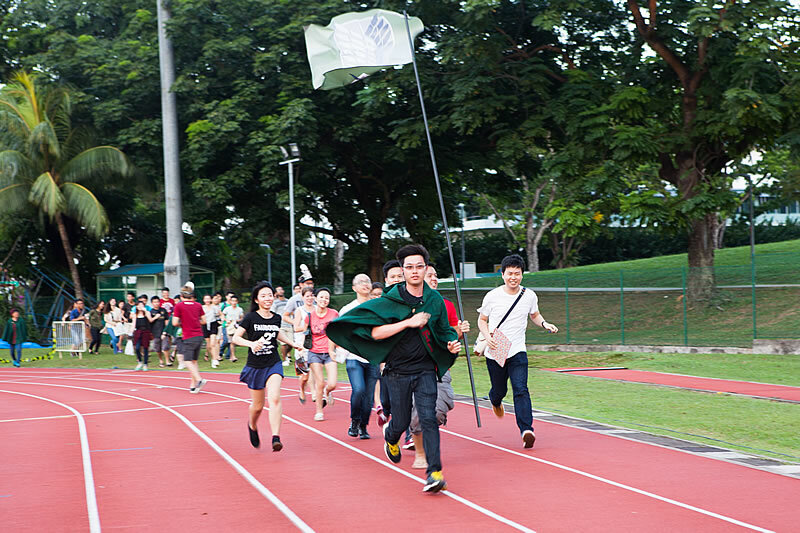 REG is the only producer of large-scale escape games in Singapore, with an average of 100-200 participants in a session. Vol. 1 to 6 were done in a variety of indoor locations, including CHIJMES, St. James Power Station and the National Design Museum. In December 2014, Vol. 7 saw REG in Singapore outdoors for the very first time. The event was held at Yio Chu Kang Stadium, and attracted an average of 800 participants per session. Building upon that momentum, Vol. 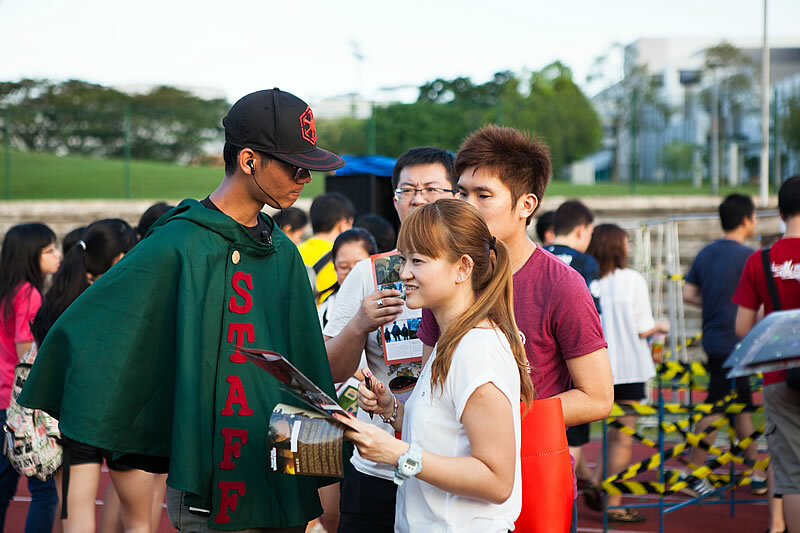 8 was held at Gardens by the Bay in February and the upcoming Vol. 9 will utilize the whole of Singapore as a venue. 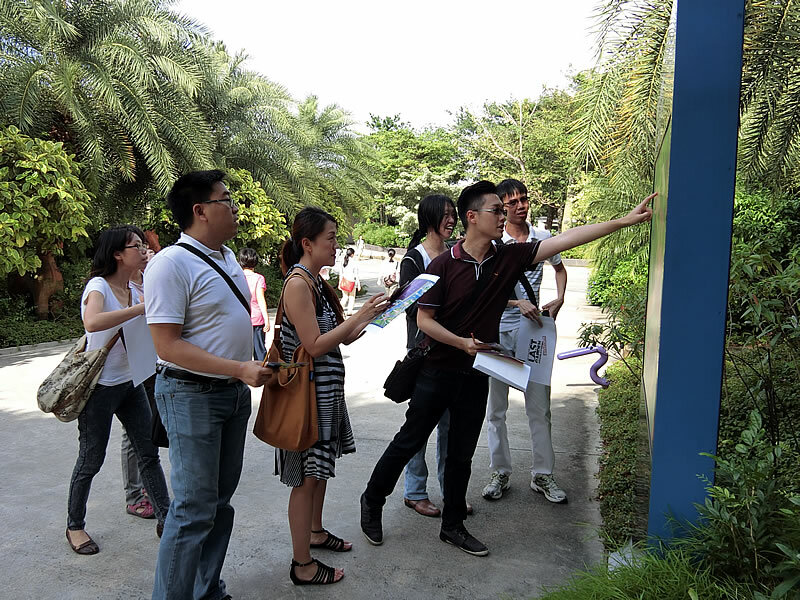 Starting at Singapore Art Museum, participants will then move off to different parts of Singapore to play the game. Like all our other outdoor versions, participants can choose to play this game alone or join with their friends to form a group. There will be no time limit, but names of the fastest escapees will be published on REG’s website and Facebook page.